Patrick Wilson Officially Confirmed As Joining The Cast of Ridley Scott's 'PROMETHEUS'! Patrick Wilson has joined the cast of Ridley Scott's Prometheus. I had been holding out over this one, as much as everything last week led us to believe Wilson was involved in the production it was far from concrete. Today ThePlaylist [via /Film] confirm that the actor is indeed involved in the highly anticipated sci-fi behemoth. I really like Wilson, the actor has been slowly breaking through over the last couple of years, with excellent turns in smart indies like Little Children & Hard Candy. The actor joins a cast that includes Noomi Rapace, Michael Fassbender, Charlize Theron, Idris Elba, Sean Harris, Kate Dickie, Rafe Spall, Logan Marshall-Green & Guy Pearce. No details are yet known on Wilson's involvement whether it is minimal or just kept under wraps. We will have to wait and see. Wilson will next be seen in theaters in Jason Reitman’s Young Adult. Prometheus opens in 3D on June 8th, 2012. 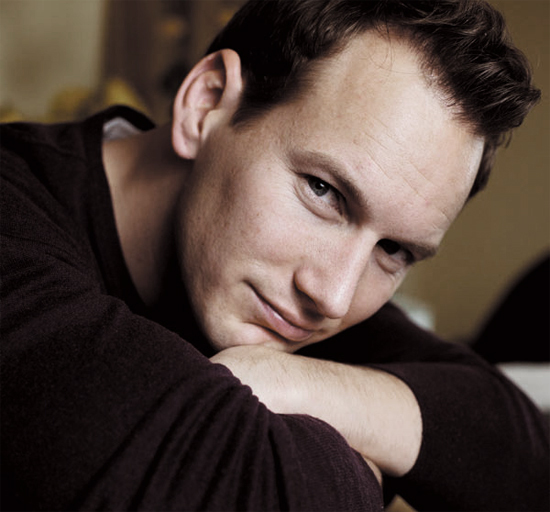 I'm reading: Patrick Wilson Officially Confirmed As Joining The Cast of Ridley Scott's 'PROMETHEUS'!Tweet this!